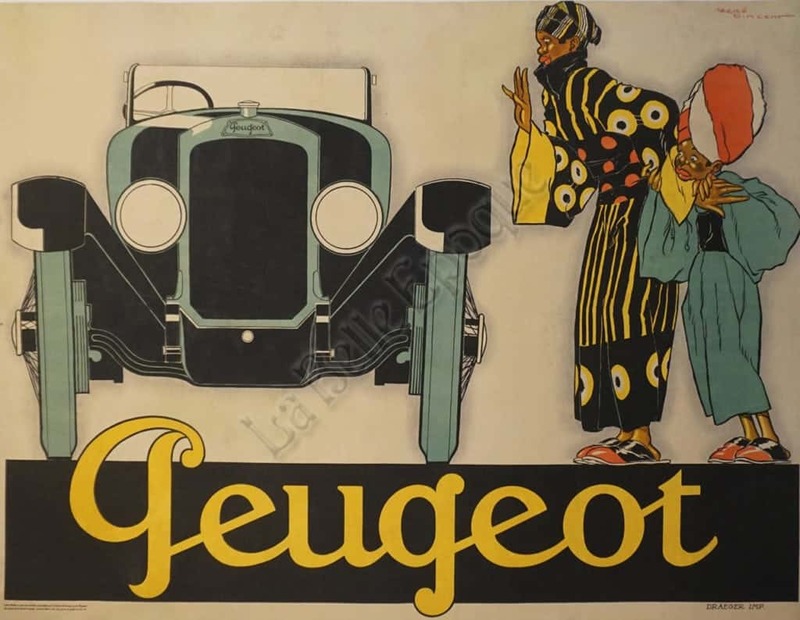 This poster, meant to be hung inside the Peugeot dealership (as written in fine print on the bottom left margin), was supplied by the manufacturers, showing the astonishing new Peugeot Cabriolet (convertible). The Peugeot shown, in green and black, sits impressing a mother and her child, dressed with a turbans (and other pieces of exotic attire). The yellow lettering pops out of the black background in the title. Interestingly enough, the artist included a slight aura around the images (both the car, and the Mother/Child).